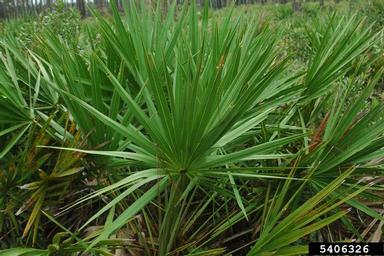 This website is all about saw palmetto from the plant Serenoa repens! My name is Ben Stanghelle and I am here to tell you about a very important plant. Why should you care about Serenoa repens you ask? You should care about it because saw palmetto is often used in medicine and one day your doctor may prescribe it for you. So, it would be good to learn about it first. This plant also has done awesome things to adapt to the environment around it; adjustability has made it good at living in poor nutrient areas. These are just a few good reasons to keep checking out this website. So keep reading and take a look around. I hope you enjoy it! Saw palmetto is extracted from the berries of Serenoa repens and like I said, it is often used for medicinal purposes. The most common use of saw palmetto is in the treatment of Benign Prostatic Hyperplasia (BPH). BPH is when the prostate causes complications by growing bigger than it is supposed to. In the past saw palmetto has been believed to be a useful medicinal herb, but as of late there has been some scrutiny over the effectiveness of saw palmetto. To find out more check out the Medical Usage page. If you do not feel like looking at how it is used in medicine, maybe check out the Habitat page. 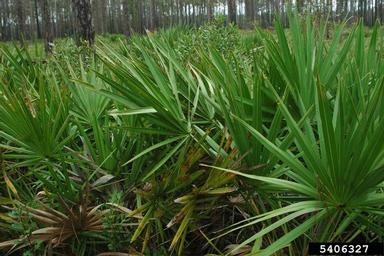 Saw palmettos are often found around the Gulf Coast. To the left you can see a picture of a typical environment that you could find it in. Thank you for the picture Dr. Volk! If you do not want to learn about where it lives then maybe try the Adaptation or Interactions page. This plant is honestly pretty interesting and on those pages you can learn how it has become accustomed to living in its environment around the Gulf Coast. Before you dive into the website I think I should answer this question. This website was made for the purpose of a project for Organismal Biology. This is a class offered at the University of Wisconsin La Crosse, and the content of this page is meant only for educational use. My other classmates and students from previous years have made web pages just like this one. You can find cool organisms like the Platypus or things as crazy as Flesh Eating Bacteria. Honestly it is a great place to learn about a lot of different organisms. They can be found at multipleorganisms.net. Take a look at them; there are a lot of good web pages! Now that you know a little about the website and have started to get an idea of what Serenoa repens is, check out what they're family tree looks like at the classification page!